Everything is a testing and a lesson in our lives. Divine says, if I don’t beat you now, you will get beating in the grave. I don’t want to beat you in the grave. Take your beatings, take your lessons, take your examples. It’s bringing your physicality down. I’m trying to dress your soul, not dress your physicality, not to make your physicality to be important and to be crowned. I’m trying to crush your physicality and bring the reality of the soul out. I want your soul in my presence. Then everything we start to contemplate that, ‘Why did it happen?’ Then the Divine says that, ‘Why are you better than any of the prophets? Didn’t they have difficulty? Weren’t they whipped and beaten, or didn’t people throw rocks at them? 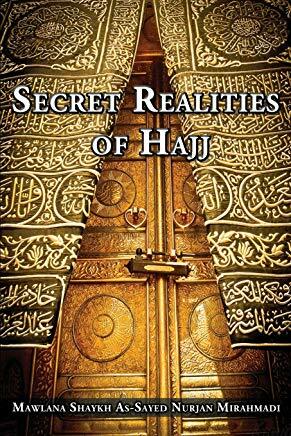 Didn’t people yell at them, accuse them and all sorts of physical torment to them?’ So what’s wrong with a little bit of difficulty because none of us are receiving the difficulty that the prophets received. So constantly turning it over to God and to the Divine. Inspiration comes back that it’s not that bad. Wasn’t it a little bit of cleansing that, it sort of bring out different issues that we weren’t aware of. Then the shaykh is teachings that that brings out the perfection of character. So when something happens, contemplate about it. Find an issue in yourself and why it happened and that resolves a character defect. This, by the way, is all the study of the enneagram. 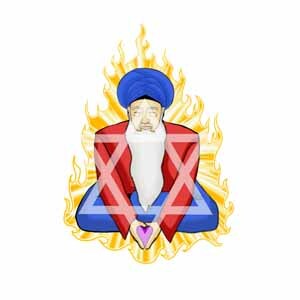 This is all the Naqshbandi realities of the enneagram. For anyone who is interested in the enneagram, they have to realize that enneagram today of psychology is a self-help program. They took out the mentor and they made it a self-help program, which no self-help ever works. That’s like a surgery by book, where you sort of lie down and cut and pull your own organ out and stitch it up. Self-help, by the virtue, self-help you have to be true to yourself. Most people are not true to themselves, what their character defect is. Then Divine will say that, ‘I know what’s inside of them and that which they don’t know about themselves, bring it out.’ If you don’t bring it out, that sickness stays and you are buried with it. At that time you will have to deal with it. At that time, they say 70 000 times more difficult than dealing with it now. Because you can deal with being angry now. The postman is yelling at you, you don’t know why he yelled at you and threw a package versus dealing with issues of the grave and having cleansing in the grave. So the shaykhs make their prayers that, ‘Bring out the defects in the character of my followers. What’s hidden inside them, because they think of themselves nicely but bring out what is bothering You in their character so that You will be pleased with them.’ Then all the testing starts, all the testing starts. Most of the testing is by our own associations because the most painful test are from the people you love. A stranger tests you and say, ‘Oh that guy was crazy, you should keep driving.’ But ourselves, our communities, our, our fellow students, our homes, our loved ones; they have all the buttons. So they are inspired by the Divine: press 1, 2, 3- boom! [shaykh laughs], everything change. With that realization, we have to be happy. The shaykh’s prayers are moving. The Divine is, ‘I’m going to bring out all of the sickness because of their prayers.’ So the real enneagram are the mentors, praying for the real character defect to come out. Not the one that you think you have, but the one that you weren’t aware of having, and how much difficulty it’s causing onto your soul. That becomes the cleansing process. That brings out all of these character defects. So then showing us here that that divine heart has to be empowered. All of that emanation is going towards that essence. All of the material desire is also trying to attack that Divine Throne. Its interest is in toppling the throne. So like an old movie of kings and it’s exactly like a battle for a kingdom; that negative desires wants to topple the throne. So the negativity starts to move up into the body, starts to energize. Again this is from prophetic teaching that Prophet Muhammad (s) taught, ‘If you guarantee for me your mouth and your genital, I will guarantee for you paradise,‘ because these are the 2 openings that are going to control these realities. So along this, that evilness is going to attack that point. Then as he’s attacking and moving up towards our being, because it’s a battle of 1 on 1. It’s a battle of one individual against all of the energies of negativity. So what does he do before he comes? He starts to move into the blood; and his movement, that energy, that negativity is moving in the blood system, attaching itself to the iron. 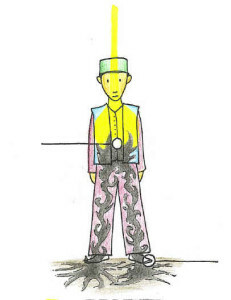 How does energy attach to our physicality? It moves through the water but it needs something to attach to, energy, and it attaches to iron. And our medical people, they are going to find more and more an understanding that all infection has to have a root in iron. Means if no trace of iron, it can’t attach itself to something. Infection or infestation of negative energy. That the negative energy’s going to move and attach itself to iron, and starts to move up like a battle, marching, marching, upward. The first line, because it cannot hit the heart directly; heart is, is by our nature, is too much power. So it doesn’t attack straight towards the castle, like old time castles, you can’t. So where is it going to go- is to your liver and to your kidneys. 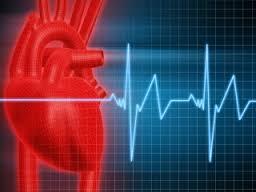 Its first line because it’s moving in the blood like soldiers marching, marching, hit to where- liver and kidneys. Because these are the big filters. These are the big barrier for the heart. It filters and cleanses. So then that negativity’s influence is to destroy the liver and destroy the kidneys. And the biggest sickness we have nowadays: liver disease, kidney disease and hypertension. It is Hitting, hitting, hitting, hitting; then when added hitting is encouraged, he says: drink something. Don’t drink water because water purifies the system, but drink spirits because it’s fire, it’s gasoline onto a fire. So pour that gasoline in and it starts to move. And with that, their armies are moving faster and as a fact, it collapses the liver, collapses the kidneys. And like the movie ‘Lord of the Rings’, the barrier is crushed. They have breached the kingdom, hit it down and it’s a free for all at that point. They are running like crazy, moving up the system. 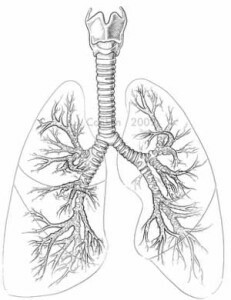 Where is the next system that they’re going to collapse very fast once they have breached the kidneys and the liver is the lungs, it’s the tree of life. So on ‘Lord of the Rings’, they had one who burn that tree. There was one tree in front of the palace because they’re dead and he kept seeing a vision of it always on fire. It’s because evilness is going to take out the lungs. 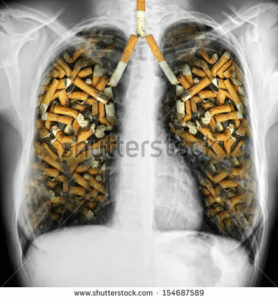 The lungs is the breath of life. It’s the breath and the gift from God for your existence. So they turn breath on fire with smoking, because smoking and drinking go nicely together. It’s not a coincidence, it’s because they’re encouraging you. We hit the livers and the kidney; now start to smoke, smoke, smoke, as if to throw a fire onto the lungs. Because that is the blood force, that the blood is going into the lungs to be purified, releasing its gases. It’s like a tree outside, it has all of its contaminants and saying that, ‘We are coming to the lungs, ‘giving you our waste.’ Give us back what God has given to us.’ Then we throw back into it more fire. So the blood was trying to get rid of the fire and we threw back in more fire. Means boom- at that time, it hit the lungs, collapsed the kingdom and went straight for the heart and toppled the throne. At that time, heart attack: the heart has been attacked. Means the Divine Throne has been flipped and that individual has been attacked and the kingdom has been taken over. To understand a heavenly reality, it’s easier to see how much of an influence it has in the negative world. That you see this happening on a daily basis. 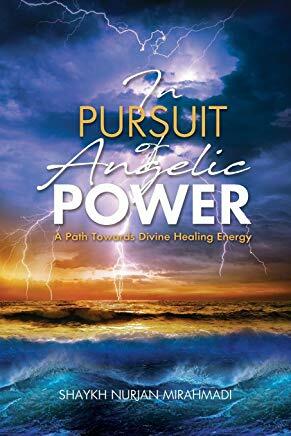 You may not see the angelic version and say ‘Oh I’ve never seen an angelic person walking around,’ but we see all of this happening in all our lives. And we see how that influence is moving in and trying to get us to do all of these things and attack all of our faculties and flip the heart. So then the spiritual crisis that we are trying to open and trying to realize is how to conquer that. Means then, how are you going to conquer this whole attack and energize the soul? The breathing. That’s why meditation is body, mind, soul. First thing on the body, when heavenly protection is coming, the heavenly advice to the physicality is saying, ‘Okay, doesn’t matter if you lost the fight, there is always hope.’ Because at the last minute Gandalf came down and ride down and annihilate all of the attack, in the “Lord of the Ring”. So the Divine is showing us: even you have been attacked and everything has been taken over, there is still hope. The hope is in the breathing. 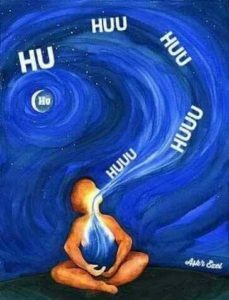 As soon as we start spiritual breathing, understanding the power of that Divine breath, and breathing with Divine recitation, ‘Huuuu‘, the blood starts to move. The iron on that blood becomes angelic energy fighting off negative energy. So the first force of energy that starts to come because it’s far superior power. Means if you call upon Him, God says, ‘If you call upon Me 1 step, I come 99 steps.’ Means His Power is far more superior than any type. As soon as you call upon Him by the breath, means that energy comes onto the iron, onto the blood, onto our being and pushes away the negative influence. 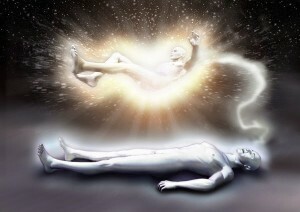 So then the power of breathing and then re-establishing that tree of life. That’s why holy tree, the tree of life, the tree of certainty, in all religions, in all spiritual paths, it’s the tree of life. So success of our life is based on how are we going to treat that tree? We have to guard it. So immediately everything pertaining to that tree is our importance: how are we going to take care of it, how are we going to nourish it, how are we going to breathe and bring that energy into the tree. So then the Divine is showing us: that’s why it’s called the ‘Nafas Rahmah’, the ‘breath of mercy’ because that breath is going to come in and energize that blood, energize that iron. And what does it do, is that blood immediately flows into the heart and energizes the heart. That’s the first part of our castle that has to be re-established. You have to put back the throne. We have to energize and put all your guards around the throne, that nothing now can come to the king. The first object of the battle is to protect the king. 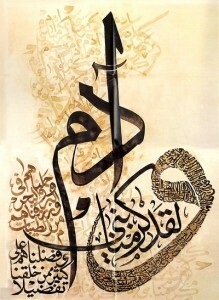 So protection of the throne; the first line of protection is breathing. As soon as you breathe and bring that energy and bring all of that qudra (power), it starts to empower. The heart becomes now alive. The breath that’s coming in, the energy that’s coming on is moving into the heart, energized with zikr, with recitation. The heart is then stamping that blood, putting its divine seal, and sending that blood now towards all the organs. Means they came now to the divine king; they took their initiation, they received their stamp. Each cell like a little soldier, each piece of blood, each atom of blood like a soldier coming before the king of the heart. Each one is being stamped by the beat of the heart which is from the Divine Essence: stamped, empowered and told, ‘Go, go my son towards all your organs and purify them. And bring us back towards the heavenly kingdom’. That’s what sends that energy back to the kidneys, back to the liver, means nourishes all of the essential organs from the heart. So then the first level of our taking this serious is the breathing. So it’s not something small. It’s not something we can try to do here and there; but if we are serious about trying to open that reality, then deep understanding of the power of the breath. That has to do with the body. This has to do with the understanding of the body. Bringing the energy to the heart, establishing that order, establishing that power is that first process and the importance of the process. It’s the first step in understanding our physiology and who knows himself will know his Lord. This will be used in our understanding of, with all that majesty that’s described, “Wa laqad karramna bani adama…” (Holy Quran 17:70) ‘We have honored the creation of Adam’. This is the only creation, we won’t go into that but just to say this before we start the levels of the heart, that inside that heart is a divine essence that beats. We call that the divine heart. That divine heart cannot be seen but, it is beating in the prophetic heart because the prophets are the pillars of creation. So you cannot find that divine power, you cannot reach to it but it’s an energy, it’s a power that is beating on the prophetic heart. From the prophetic heart is the Adamic heart- Adam. This is the importance of tariqah (Spiritual path): the divine essence that beats, beats to where first, because you have to know the bulls eye. 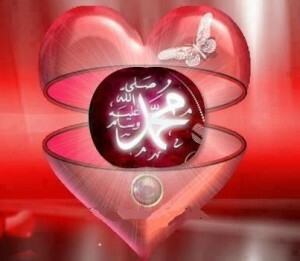 Its beat, divine beat are to His messengers because His Gaze is on them. Because His Gaze is on them they were able to deliver a message. So we say then a second part is the prophetic heart. 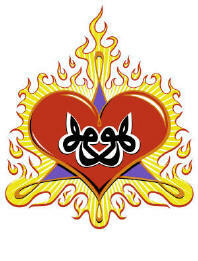 Divine Heart is the Divine Essence that is radiating out as a power that can’t be reached. But where is your qibla (direction), where is it going to be, where are you going to focus yourself to find that energy? You are going to find it at the prophetic heart because the prophets, their heart was in complete submission, beating divine. As their heart was beating, again is the symbol [gestures towards symbol] again they, they were created for that perfection and it’s not a random choice. They have been created to what, be in complete submission. So their heart is complete Divine Presence and that heart – that’s why the heart is on the outside; it speaks towards creation from the love of the Divine. It is on earth in Divine love, not from Divine fire or anger or fighting; its whole existence is to speak to the Divine. So in the enneagram, WajhaAllah we call the Face of God. 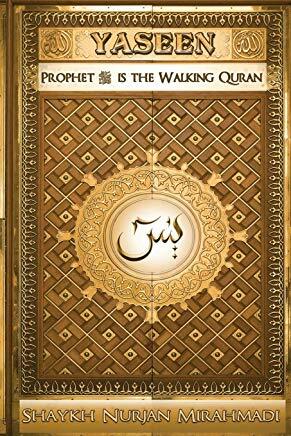 Why- because these prophets, their ears, their eyes, their nostrils and then the tongue is the whole heart. Means their whole existence is just to speak the Word of God. Their ears are in complete submission. 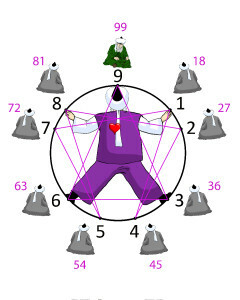 You see how this is a face, huh [pointing at the Heart of Hu wa Hu diagram]? And it’s next two ears here, this, two eyes, two nostrils and the tongue is the whole heart because their whole existence is just to speak from God. Their hearing is not to hear from people. they don’t take the opinions of people but their hearing was in complete submission to the Divine. Their eyes were watching creation. So any time we were calling upon a prophet or asking for a prophet’s intervention or a saint’s intervention, is ‘Please gaze upon me with your spiritual vision, because their ears are in submission. So they are taking constant command but what they can give you is their vision. So their eyes gaze upon creation; their eyes have light and power. So if their eyes are upon us then we reach that satisfaction. Their breath is completely for Divine. Means they are able to bring all that Divine energy and realize that essence. And as a result, the one and most powerful is the tongue. And that whole existence is just to speak, speak and raise us. This is the second heart. The third heart which we created creation in our image is Adamic heart- the heart of the Prophet Adam that was created by two hands. So Adam آدم – Alif ا , Dal د , Meem م – means the alif ا is at the Essence of Allah الله (AJ) and the Dal د and the Meem م . 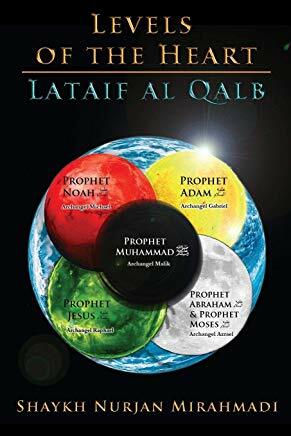 So then showing you these three of Adam, that Adam is a result of the alif ا of Allah (AJ), the Essence of Allah (AJ), the Meem م of Muhammad ﷺ محمد which represents the prophetic kingdom and the dal, the ‘D’ د of the dunya دنيا. 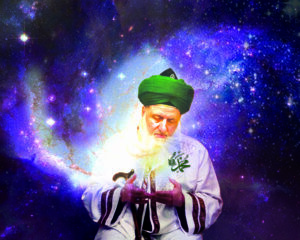 Means that these are the three lights that Mawlana Shaykh teaches us: the light of God, the light of Prophetﷺ, from Prophetﷺ’s light is the light of creation coming out. This teaches us about our greatness. Why- because God now showing us, ‘You are the only creation that can reach towards those realities because you are from those realities.’ You use your Adamic heart to move towards that ocean to the prophetic heart. And in the prophetic heart, you find yourself in the Divine Heart. So you use your vessel, you find yourself in their vessel. If we can find ourself in their vessel, that is in the Divine Vessel because the Divine is looking into their heart. ‘We have made you from that and you’re the only creation that can go into your heart to reach to the prophetic heart; the zebras can’t, the bears can’t. There’s nothing else in creation that can go into their heart and find themselves in the prophetic heart, and the prophetic heart into the Divine Kingdom. So then you use that to go back towards that reality and open that reality; and that goes into the study of the heart. Copyright © 2018 Naqshbandi Islamic Center of Vancouver, All Rights Reserved.